Most of us spend a lot of time thinking about change. Some might be able to visualize it, but on a deep emotional level, they don’t believe it’s possible. They either won’t or can’t accept the idea that they deserve good things in their life. They’ll probably never admit it, but they don’t believe they are worthy. 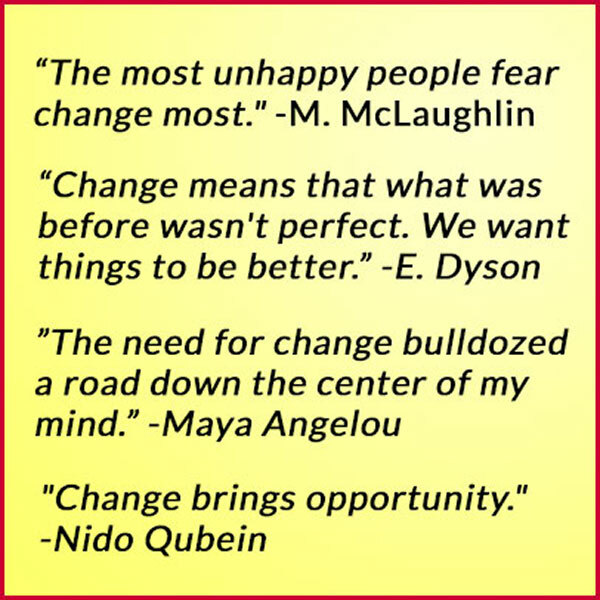 Others seek change through self-improvement programs. They read books, listen to affirmations and go to seminars. They want change and are actively seeking it. They have been disappointed in the past because these programs did not live up to the hype. These people are ready for the real answer. If you’re in the first group, you might not be able to admit it, but you’re really just here browsing. If you downloaded the trial version of The Power Within, you probably think it’s too much work. You think it costs too much. Right now, as you’re reading this, you’re creating a list of reasons why Success Magnetismwon’t work for you. You need to understand that The Power Within is designed for people who not only want change, but are fully committed to making it happen. It provides the roadmap. It will show you exactly what you need to do to master the principles of Success Magnetism, but you must be willing to do what it asks of you. To be perfectly honest, this training isn’t for everyone. Why does 20% of the population control 85% of the wealth? You might have a long list of reasons. If none of them include the idea that the ones who control the wealth habitually take actions which produce results, you’re probably the type of person who is better off not ordering The Power Within. Why expose yourself to information you’ll never implement? Are you ready to make a change? Real - lasting change? Are you sick and tired of where you’re at? Do you know you’re capable of more than what you have right now? Do you believe (or are you willing to believe) that you deserve more? Can you accept and believe that you’re worthy of good things in your life? If your answer is “yes,” then you might be ready to do what is required to learn the secrets of Success Magnetism and get the results you deserve. 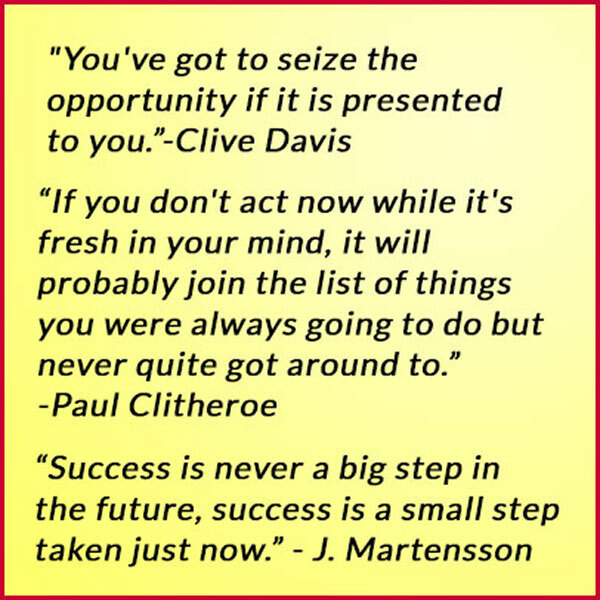 You might be ready to achieve the success that you desire - the success that has eluded you for so long. Are you ready to take some action? The information in The Power Within was recovered from an ancient manuscript written over a hundred years ago. It has traveled through time to find you. It will transform your life, but only if you accept it. You will learn exactly what you need to do to train your personality for success. There’s no hype. No empty promises. Just a simple, straight-forward system that has worked for millions of people for well over a century. Do you believe there are forces bigger than you that can change your life? Then why not harness them and get what you want? The methods described in The Power Within are direct and practical. They follow everyday experience and involve simply yourself, your powers and your environment. I’ve been in sales for a long time and let me tell you that working straight commission is one of the most challenging jobs out there. It doesn’t matter how many hours you work. It doesn’t matter how hard you try. It’s all about the results. I could work 80 hours per week, but if I don’t sell anything, I don’t make any money. I know all about the importance of a positive attitude. I know that sometimes it takes ten “no’s” to get to that one “yes.” It’s a constant struggle to stay positive. To stay focused. To stay on track. I do a pretty good job with it, but let me tell you what happened when I stumbled upon Success Magnetism. All I did was read the lessons and do the exercises. I spent about 15-20 minutes with it each day. Everything else stayed the same, but after only 30 days of doing that, I was amazed that I had tripled my income! Making three times as much money would make anybody feel good, but I also began to realize that Success Magnetism could work in other areas of my life too. It’s hard to admit this to you, but it wasn’t too long ago when I didn’t have much confidence with women. I had become comfortable with rejection. When someone begins to accept rejection as a way of life, it’s impossible to see opportunities, let alone act on them. Well, that’s exactly where I was at. “Why even try, if I know it’s not going to work?” With a mindset like that, what kind of results do you think I got? I’ll give you hint. I didn’t get many dates and I didn’t have many girlfriends. But almost immediately after applying the secrets of Success Magnetism, the exact same women who used to blow me off started talking to me and asking me out! When this kind of stuff started happening for me, I knew I had stumbled upon something very powerful. Something other people could use. Something other people needed to know about. You’re probably thinking that you’ve heard all of this before. You know all about the Law of Attraction -right? Well let me tell you, even though there are similarities between the Law of Attraction and Success Magnetism, there’s one major difference that the guru’s and self-proclaimed experts won’t tell you about - probably because they don’t even know themselves. The Law of Attraction (or at least what you’ve been told about it) is like going to see a good movie. You sit inside that theater and become absorbed in the story. Your imagination is fired. You escape from reality. It’s almost like those two hours fly by. But when you come out of that theater, everything in your life is exactly the same as it was when you walked in. All you’ve managed to do is feel good for a couple of hours. Success Magnetism gives you that same “feel good” feeling, but your life truly changes. Literally, in front of your eyes. Why Haven’t I Heard About It? To be perfectly honest, I don’t know. That’s one of the biggest questions I had when I discovered it. How could something this powerful be lost for over a hundred years? It’s almost as if it disappeared. It was forgotten. As if it never existed. You’re probably wondering how I found it? Well, let me start by telling you a little about myself so you can understand the chain of events. About ten years ago, I had some success selling antiques and collectibles on eBay. I did it full-time for about three years, but then business dropped off. I wound up getting a “normal” job, but never got completely out of eBay. I was always buying and selling things, especially old books and maps. Somewhere along the line, a portion of an old book was sent to me by mistake. I had purchased an 1889 Civil War Atlas and found this other book stuffed inside the same shipping package. I emailed the guy I bought it from, but he said he didn’t want it back. I didn’t want to throw it away because I didn’t know what it was. Who knows? Maybe it was worth something. I didn’t have time to figure it out then, so I tossed it onto that pile of stuff I would get around to looking at some day. Well, it sat on a shelf in my storage room for a couple of years. One day when I was rearranging some things, I picked it up and started flipping through it. I’m not sure why I started reading it that day, but when I started, I couldn’t stop. I call it a “manuscript” because it really wasn’t a complete book. It was tattered and worn. The binding was gone and most of the pages were loose. Some had been torn out and stuck in the back. In the margins on some of the separated pages, outside the original text, were hand-written notes. I have no idea who wrote those notes, but in a lot of respects, those notes were more illuminating than the original text. I started piecing it together and then started typing it in on my computer. I don’t know about you, but nobody ever gave me an instruction manual on life. Nobody explained to me that most of my decisions are based on emotion. I can think through my problems and come up with a plan, but I will never take any action until I feel it on a deep emotional level. Since the only way I can ever change anything is to take action, my emotional (or subconscious) state effectively determines the quality of my life! Most of us live at the mercy of our emotions. If you don’t feel like doing it, what’s the chance you’ll actually do it? More than likely you won’t - right? On the other hand, if you feel excited and motivated, you will act without even thinking about it. Imagine what it would be like, if instead of being at the mercy of your emotional states, you could become master of your moods. To be able to consistently, systematically and predictably create a mood of success and develop a long-term mental attitude of achievement. This is one of the many things you’ll learn when you learn to apply the principles of Success Magnetism in your life. One of my favorite quotes is from Muhammad Ali, the heavyweight boxing champion from the 1960-70’s. He incessantly referred to himself as “the greatest.” It’s important to realize that he didn’t start calling himself that after he won the championship. He started doing it years before. While he was still in training. Before he even had his title shot. His quote summarizes what Success Magnetism can do for you. The Power Within is not just another self-improvement program that gives you a bunch of affirmations and positive thoughts so you can feel good and never change anything. This revolutionary training course reveals all the lost secrets of Success Magnetism and outlines systematic and proven methods to manipulate circumstances and make things happen! I created The Power Within because I want you to have the opportunity to experience the power of Success Magnetism. I want you to be able to get the results you deserve. To have the confidence to go out and get anything you want. I recovered these lost secrets of Success Magnetism from that ancient manuscript I found in my storage room. I updated and revised the outdated language and converted the entire manuscript to a modern-day format. I made it easy for you to navigate through this wealth of information. When you purchase the full version of The Power Within, you will get the complete training course on CD. This gives you access to the entire collection of lost secrets of Success Magnetism. You will be able to navigate through it quickly and easily, just like you when you surf the internet. Not only that, but you also get the Personal Study Guide! All the major sections are enclosed in a beautiful binder with plenty of space for your notes. I can see you carrying this Personal Study Guidewith you, as you learn these concepts, apply them in your life and get the results you deserve. By now, I’m sure you realize that I’m passionate about Success Magnetism. I know it works. I’ve experienced it in own my life and I’ve seen it produce amazing results for others. Now I want to see it work for you. I wish I could wrap it up like a Christmas present, with a big shiny bow, and give it to you. But it doesn’t work that way. If you want a quick fix. If you think you can get it for free, without any kind of effort. That someone will drop success in your lap. Walk up and hand you the winning lottery ticket. If that’s what you expect, then The Power Within isn’t for you. I know there’s plenty of people out there who’ll take your money and make promises they can’t keep, but that’s not how I operate. I sincerely want you to get results, so here’s the deal. If you want to learn to apply the principles of Success Magnetism in your life, you need to buy your own copy of The Power Within. Don’t tell me you don’t have the money, because you do. If you’re thinking about doing anything other than buying it right now, there’s only one question left. Success Magnetism Will Give You? There’s a cost to acquire knowledge and there’s also a hidden cost for not knowing. You could easily spend this much for a Biology textbook at the local community college. You know, the one you’ll use for a semester and then forget everything you learned from it within six months. The Power Within is a textbook you’ll use for life. You’ll find yourself coming back to it again and again, as you get better and better at applying the principles of Success Magnetism. If you’re ready to experience The Power Within. If you want to know how to apply the principles of Success Magnetism and get results starting today. If you’ve made the decision that you’re fully prepared to do whatever it takes to achieve the success you desire, then you are only a few mouse-clicks away from discovering a simple, straight-forward system that has survived the test of time. After you unlock The Power Within, your journey to success will begin. You will join an elite group of people who know how to apply the principles of Success Magnetism and get results. Remember this isn’t a quick fix. It’s a way of life. You need to study this material as if your future depends on it. Because it does!